The dates are set for CDA’s Annual Day on the Hill. 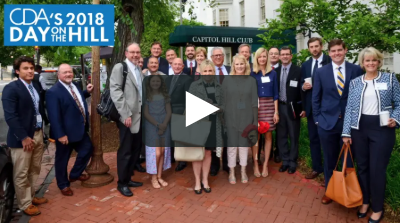 CDA members will convene in Washington on May 14 & 15, 2019 to be briefed on key policy issues facing the industry, advocate on behalf of important legislative and regulatory actions, meet Congressional representatives and hear from leaders. We have also secured top Washington journalist, Chris Stirewalt of Fox News, as our breakfast speaker. Stirewalt is the digital politics editor for the Fox News Channel (FNC) and one of the liveliest commentators covering politics today. 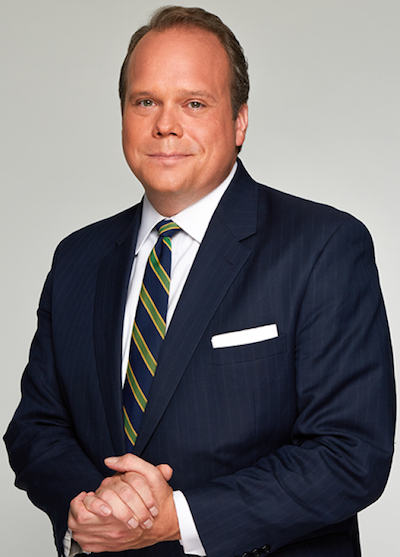 Working in FNC’s Washington bureau since 2010, Stirewalt helps coordinate political coverage across Fox platforms, contributing articles, video segments, and regular appearances on Fox’s most popular programs to the network’s lineup. Stirewalt’s daily newsletter, Fox News Halftime Report, boasts nearly 200,000 subscribers, and his podcast, I’ll Tell You What, was so successful that it was spun off into a television show of the same name leading up to the 2016 presidential election - an industry first. Stirewalt makes daily appearances on multiple Fox network programs, and is part of the Fox News Decision Desk team, where he has called races on election nights over the past three electoral cycles. Prior to joining Fox News Channel, Stirewalt served as political editor for The Washington Examiner where he wrote a twice-weekly column and led political coverage for the newspaper. Make sure to join us! Visit CDA's website to register and for more information, and check out last year's video!